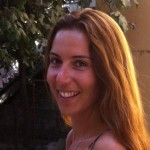 The project coordinator Selen was born in Istanbul. She is currently a PhD candidate in the department of history at Bogazici University of Istanbul. Her research is about the propaganda activities of Turkey during the Second World War period. 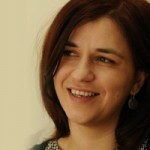 She has expertise in EU’s Framework Programmes, other European Community Programmes and IPA projects. 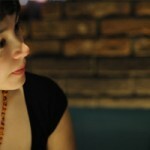 Selen coordinated and organized exhibitions and contemporary art projects in Turkey, France, Germany, United Kingdom, Azerbaijan, Georgia and in the United States in collaboration with international organizations like British Council, Art Councils of England, Intercult and Cultures France. While heading especially towards culture, art and social responsibility projects since 2008, Selen is one of the founding partners of SOM. She was born in 1975 in Eskisehir. She graduated from Istanbul Technical University’s Department of Architecture in 1997. 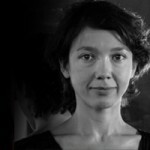 She participated in various projects of Theater Research Laboratory of Istanbul Municipality Theater from 1998 to 2000. In 2000 she was among the co-founders of Çatı Association in a collective artist group. She worked on projects with Mathilde Monnier, Emmanuelle Hyunh, Yann Marussich and Mustafa Kaplan. In 2003 she found Taldans together with Mustafa Kaplan. Her choreographies in Taldans include “Üç Ayak” (2001), “Sek sek” (2003), “Graf” (2007), “Dokuman” (2009) and Eskiyeni (2011). Her solo pieces are “Solum” (2005) and “Site” (2010). He was born in Konya, in 1965. Mustafa started taking dance classes from Geyvan McMillan in Istanbul, where he had moved to study Electronics Engineering at Yıldız Technical University. Although he graduated, he never worked as an engineer. After dancing in the Modern Ballet Company between 1989-1992, he worked at the City Theater of Istanbul as a choreographer and dancer for about ten years. 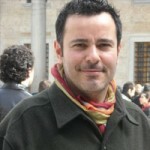 He is the co-founder of dance and performance companies such as Yeşil Üzümler, Dans Fabrikası, Taldans Company, and Çatı Association. 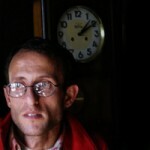 Cemil Aksu was born in Hopa province of Artvin in 1977. He is now a M.A. graduate student in the Philosophy Department at the Bilgi University. Between 2008 and 2011, he was the executive editor of Biryaşam Journal on the local history, folklore, biography and geography of the Black Sea Region and the chairman of the Biryaşam Culture and Ecology Association. His work, “Left Corner of the Black Sea Region: Hopa” (“Karadeniz’in Sol Köşesi: Hopa”), was published within the book, “Black Sea is Darkened” (“Karardı Karadeniz”) (ed. 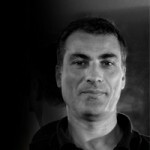 Uğur Biryol, İletişim Yayınları, 2012). Together with Erdem Evren and Sinan Erensu, he is now preparing a book project, called as “Paltry Reasons” (“Sudan Sebepler”) on the ecologist struggle in Turkey. An actress for several companies and codirector with Rachid Ouramdane of the Fin Novembre company from 1996 to 2006, Julie Nioche, also an osteopath and choreographer, created, in 2007, A.I.M.E., the Association of Individuals in Committed Movements, which works on cultures and representations of the body in the fields of dance, social work and medicine. Her pieces give a crucial place to set design, lighting and music. They involve the interpreters in “sensorial and sensual” dances, a forgotten dimension of the political fabric of bodies. 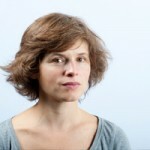 She works with Alexandre Meyer in most of her pieces since 2004 : H2O-NaCl-CaCO3, Matter, Nos solitudes, Voleuse. 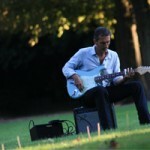 He is a composer and guitarist. Since 1982 he has been a member of several bands: Loupideloupe, les Trois 8 etc… He works on music compositions for stage directors Maurice BENICHOU, Robert CANTARELLA, Pascal RAMBERT, for choreographers Odile DUBOC, Mathilde MONNIER, Julie NIOCHE for sculptor Daniel BUREN, the story teller Muriel BLOCH, and with Blandine MASSON and Jacques TARONI for the radio channel FranceCulture. She studied oriental studies. Since 2011 Robert Bosch Foundations Cultural Program Manager at Europe House Georgia and Director of the South Caucasus Contemporary Dance and Experimental Art Festival in Tbilisi. Dr. Nezih Orhon is the Dean and the professor at School of Communication Sciences of Anadolu University, in Eskisehir, Turkey. Dr. Orhon completed his two master’s degrees in Turkey and in the USA; also gained his Ph.D in Turkey. Besides his administrative responsibilities, he is teaching “Television Journalism”, “Television News Programming”, “Production and Directing”, and “Cultural Diversity and Communication”. At the same time, he established EU projects, which they are currently running. For instance, one of them is called “Digital Bridges” for journalism and communication students. She holds an MFA in Acting and MA in Theatre History and Criticism from City University of New York. She is currently a Ph.D. student at Roehampton University in London. She is an expert in developing and facilitating drama workshops for children and youth. She involves in the project as the facilitator for Drama Workshops for teenagers.